What Does Alcoholism Recovery Really Mean? Home > Treatment & Support > What Does Alcoholism Recovery Really Mean? While the idea of recovery may seem simple enough – treat alcoholism and you no longer are an alcoholic – it is not that straightforward. In fact, having an unrealistic expectation of what recovery is supposed to mean can actually prolong alcohol abuse and make recovery that much more difficult. For many people, a big question is whether they can be cured. When a person is struggling with alcoholism, the effect on their lives as well as those they care about can be devastating. Having hope that they can be cured – meaning they can go back to exactly how they were may help them feel more positive about the future. But experts warn that this kind of hope might be a false, misguided one. While the initial battle to recover can involve intense physical and mental withdrawal symptoms, for most people these will subside. As the body begins to recuperate from the alcohol abuse, you will begin to feel better physically, which usually improves a person's mental and emotional outlook as well. 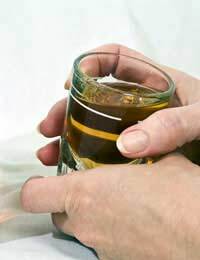 The mental cravings for alcohol, however, can persist for many years. The notion that a person who is cured no longer thinks about alcohol can be a heavily misguided one for some people. There is an expression that once a person is an alcoholic, that person will always be an alcoholic. While not everyone agrees with this premise, those who do are clear to point out that it does not mean they will continue to drink. Rather, it means that the pull to drink persists and the strength of that person will be needed to overcome this pull for life. But what about those who eventually find they no longer have cravings for alcohol? Some recovered alcoholics do indeed move beyond cravings and some even feel repulsion to alcohol. For these people, it may seem as though their alcoholism is fully in the past. Indeed, it is likely a positive experience not to struggle with cravings and thoughts of alcohol. It is important, however, to remember that the experience of alcoholism and the effects of it on yourself and others leave with it memories and perhaps a different approach to life. Respecting and appreciating that these experiences and consequences have given you strength and enhanced your character can help people to continue recovering from the effect that alcoholism has on their self-esteem and relationships. In particular, those who have lost trust within and have had family and friends lose trust in them may feel as though recovery is out of reach despite the fact they have stopped drinking. This is one part of alcoholism that can truly be a lifelong process for some people. Rebuilding parts of your life that were lost or damaged can be an enormous part of recovery. Although the idea of alcohol abuse being something that has changed you forever or having it remain a struggle may initially seem disheartening, this is not the case. A person's experiences abusing alcohol can offer them a wisdom and strength that they can use in positive ways in their life or in the lives of others. Some people may indeed find that they move forward without the cravings for alcohol while others continue to battle them for many years. But rather than repel from the parts of you that feel damaged by the abuse, you can embrace and nurture them to make healthy choices in the future. Whatever recovery means to you, the one common thread with everyone is to find a way to keep alcohol from controlling your life.